Your smile says a lot about you! It’s a huge part of the impression you make when you meet someone for the first time. When you’re not satisfied with the appearance of your smile, it’s always on your mind and it takes a toll on your confidence. What are your teeth saying about you? Do you smile with confidence, or do you often try to hide your teeth? If so, Dr. J.D. Robison has solutions for you! Your cosmetic dentist in Canton discusses the latest advancements in the industry. There are many whitening products on the market today, and it’s hard to know which one is best for your needs. With the advancements modern dentistry has made, Dr. Robison is able to offer a much higher strength whitening gel than you can find at the drug store. We’ll create customized trays for you that are based on impressions we take of your teeth. The snug fit of the trays helps protect your gum tissue from the whitening gel. Whitening your teeth is one of the easiest ways to give your smile a quick upgrade. Invisalign itself is an advancement in the fields of orthodontics and cosmetic dentistry. Patients who live with crooked teeth understand the devastating effects this has on your confidence, however did you also know that misaligned teeth are affecting your oral health? They’re harder to keep clean, which increases your risk for issues such as tooth decay and periodontal disease. Invisalign utilizes clear plastic aligners to straighten your teeth instead of the traditional metal braces and wires that orthodontics uses. Aligners are virtually invisible, they’re easy and comfortable to wear, and they don’t interfere with your normal daily activities. Most cases can be completed in 12-18 months, which makes them ideal for busy adults who want to straighten their teeth with discretion. Veneers are also stain resistant, which means that they don’t discolor at the rate your natural tooth does and you won’t have to think about whitening your teeth. While veneers can be used to restore one or two teeth, they’re best utilized to enhance an entire smile. 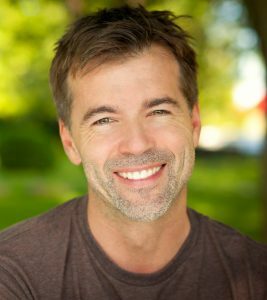 If you’re considering enhancements to your teeth, we encourage you to contact our office to set up a consultation with Dr. Robison. You may be surprised at all the possibilities for your smile! With extensive training, and years of experience, you can rest assured that your results will be phenomenal when you choose to work with Dr. Robison.